The creation of history can be as forgettable as it is memorable. 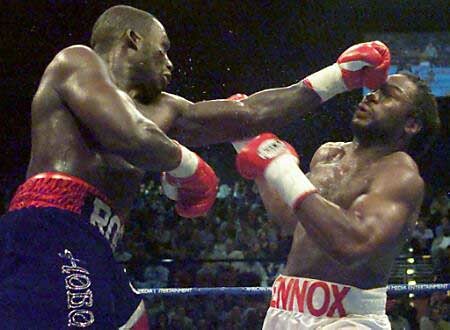 On April 22, 2001, in Carnival City, South Africa, American heavyweight Hasim Rahman knocked out Lennox Lewis in the fifth round to win the WBC, IBF, and IBO heavyweight championships. 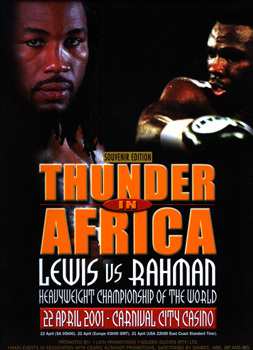 Lewis vs Rahman I was devoid of great action and is notable strictly for Lewis’ shocking unseating as heavyweight king, which seemed to confirm the doubts of those who could not forget when he had been stunned in similar fashion by Oliver McCall in 1994. For Rahman, it was the triumphant culmination of a journey that had taken him from the drug-laden projects of Baltimore to the apex of the heavyweight division—one great punch that forever altered his fate. Given the turbulent track of his life, that Rahman was even able to create a successful boxing career is a testament to his resolve. 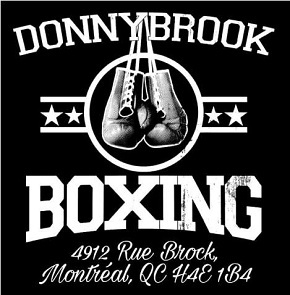 Once an enforcer for drug dealers, he had survived several shootings and a horrific car crash before starting to box at age 20. He compiled a 34-2 professional record and had recently defeated Frankie Swindell and Corrie Sanders to earn his shot at Lewis. The champion was coming off recent wins against David Tua and Francois Botha, but some suspected focus was lacking in his preparation due to his recent involvement with the filming of the Hollywood movie Ocean’s Eleven. His lackluster performance would validate these suspicions. 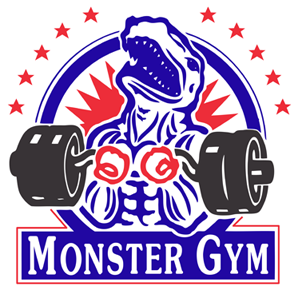 From the opening bell, Lewis, fighting at 253 lbs, was clearly not sharp, and appeared fatigued, throwing fewer punches per round than usual and jabbing ineffectively. Rahman, showing little trepidation, boxed smartly although with an obvious caution employed to prevent being victimized by Lewis’ jab and heavy right hand. A disparity of talent was obvious between the two men, but the champion could not take full advantage. 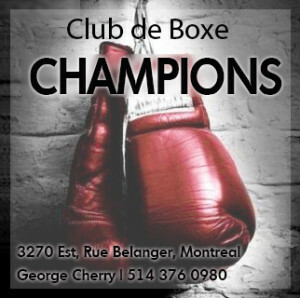 At the beginning of the fourth round the pace picked up as both men started to box more aggressively and throw heavier punches. But Lewis, who demonstrated a little more fire in this sequence, could not maintain the momentum and as the action regressed it became obvious that the longer the fight went, the more susceptible the champion would be to getting caught by one hard shot. That shot came in the very next round. Rahman answered the bell visibly more energized than Lewis, and midway through the round tagged the champion with a hard right. At this Lewis smiled, presumably to mock the challenger, but in doing so gave himself away, since fighters typically smile to disguise pain or alarm. Spurred on, Rahman chased Lewis to the ropes, having become the fight’s general. Still smiling, a gassed Lewis then dropped his hands as Rahman appeared to back off. Abruptly, the challenger shifted direction, forced Lewis back to the ropes, and fired. 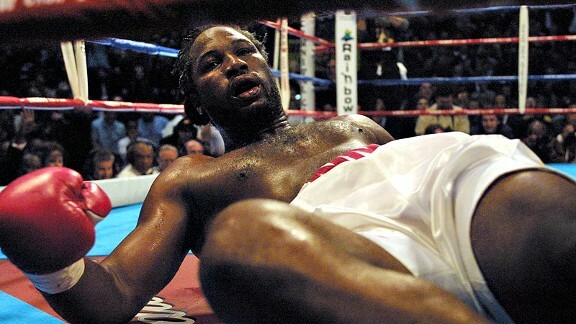 Hammered by a thunderous right hand, Lewis toppled to the canvas. He never came close to beating the count. With one devastating shot, his world was upended, his title lost. 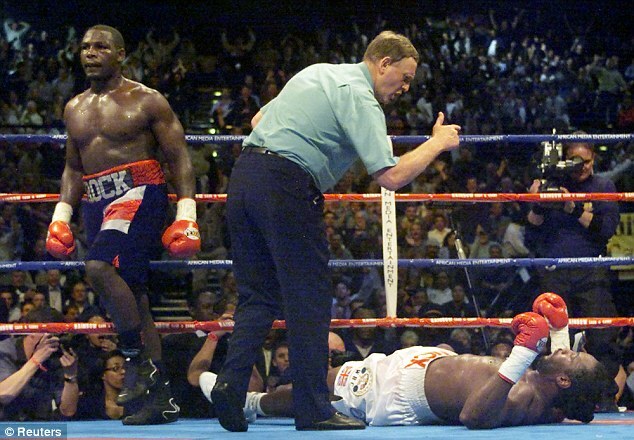 HBO’s Jim Lampley punctuated the knockout by invoking Lewis’ surprising 1994 loss to Oliver McCall and Mike Tyson’s 1990 defeat to Buster Douglas, similar instances in which the champion was beaten by his own lack of focus. Not to be outdone, George Foreman began to awkwardly sing “America the Beautiful,” clearly excited that boxing fans stateside had a native son back at the division’s apex. Rahman, euphoric at having conquered his heavily favoured opponent, raised his arms in triumph as his corner went wild and a shocked and dazed Lewis was relegated to his stool where the medical aid he received couldn’t possibly treat the damage done to his ego. 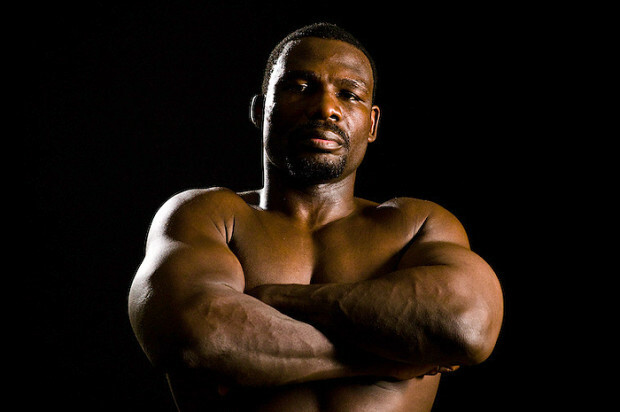 A retired Lewis would later claim in an interview with British boxing show Ringside that “everything wasn’t aligned for me that day.” He called Rahman’s shattering punch “a lucky shot,” contrasting it with his more calculated knockout of The Rock in their rematch later that year, which, to his credit, was one of the best heavyweight knockouts of the decade. Lewis was unwilling to afford Rahman much praise, emphasizing his own inadequacy rather than the efforts of his opponent. While Lewis’ opinions here might be justified, his performance in this fight remains one of the blackest marks on his record. 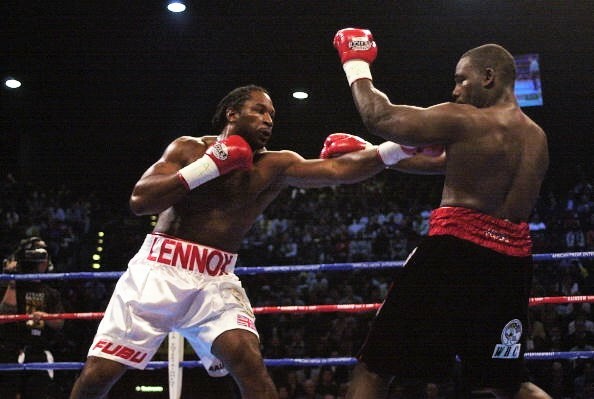 A great talent whose fusion of power and boxing acumen made him the best heavyweight of his generation, Lewis nonetheless was shocked by lesser lights like Oliver McCall and Hasim Rahman, and pushed to the edge of defeat by the gutsy Vitali Klitschko. Despite his dominance and high standing, Lewis will forever be remembered for those few instances in which poor focus and a susceptible chin made him the prey of lesser fighters.